The first thing I ever painted as a child at my community art center class was a pair of ladybugs strolling under some flowers. Now years later, am still thinking of the same little creatures. Am sharing both the B&W (roughly scanned) and completed images of my work. I use carbon ink for all the outlines of my illustrations, and then watercolour for the colours. Painting with watercolour is almost like second nature for me. I have used various mediums before, but I find still it the easiest one for me to express myself. 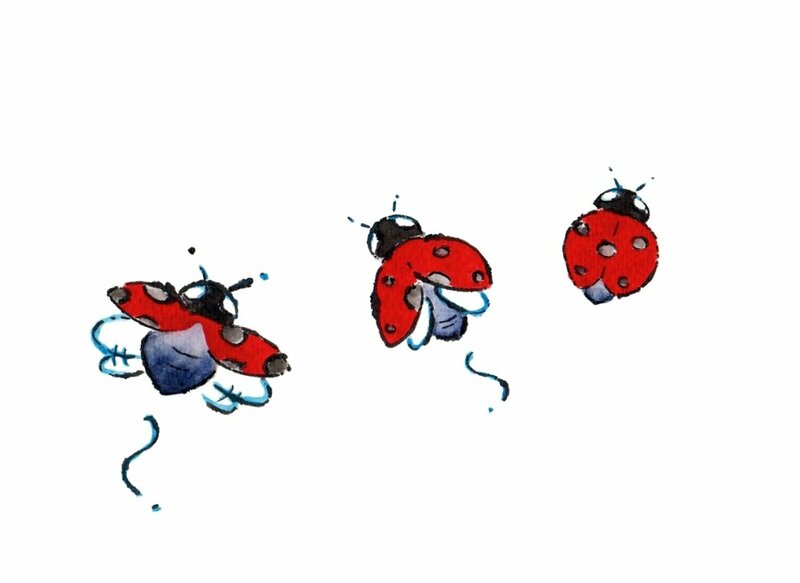 These ladybugs are now taking off on their own little adventures!